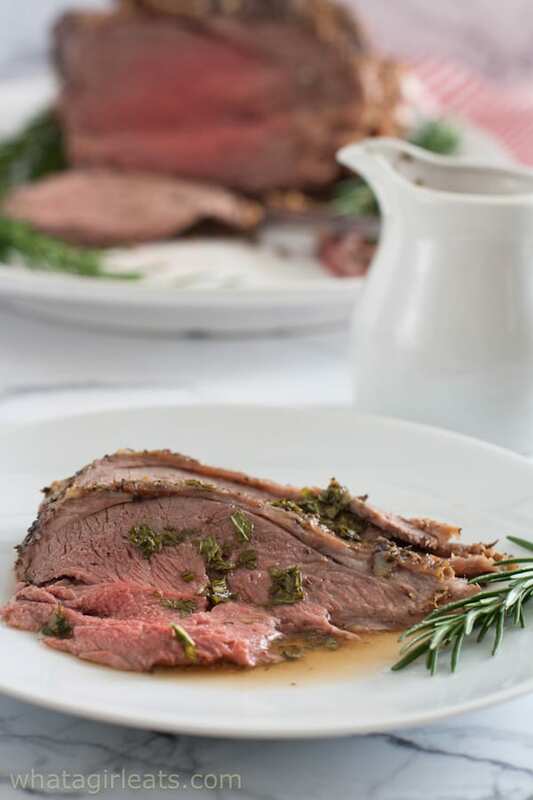 Leg of Lamb with Fresh Mint Sauce is studded with garlic and roasted with rosemary, salt and pepper. 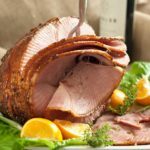 It’s the perfect Easter meal or Sunday supper. Australia is the perfect place to raise lamb and beef. With a land mass nearly as large as the US, but a population of less than 25 million, Australia has plenty of space to for grass-fed, pasture raised animals. The Aussies have been farming lamb and beef for over 200 years. Their reputation for producing ethically raised meat is unsurpassed. Aussie lamb and beef raises their animals in natural, open spaces, which contributes to a stress-free environment for the lambs. Click here for more information on Aussie Lamb and how it’s ethically raised. Grass-fed, that’s a big buzz word right now, but what exactly does that mean? Well, when you buy Aussie lamb, you are guaranteed that the lamb you purchased was ethically raised, grass-fed, and never fed antibiotics! Here’s where you can find Aussie lamb in your local grocery stores. You can buy a bone-in leg of lamb, partially boned leg. or a boneless leg of lamb. 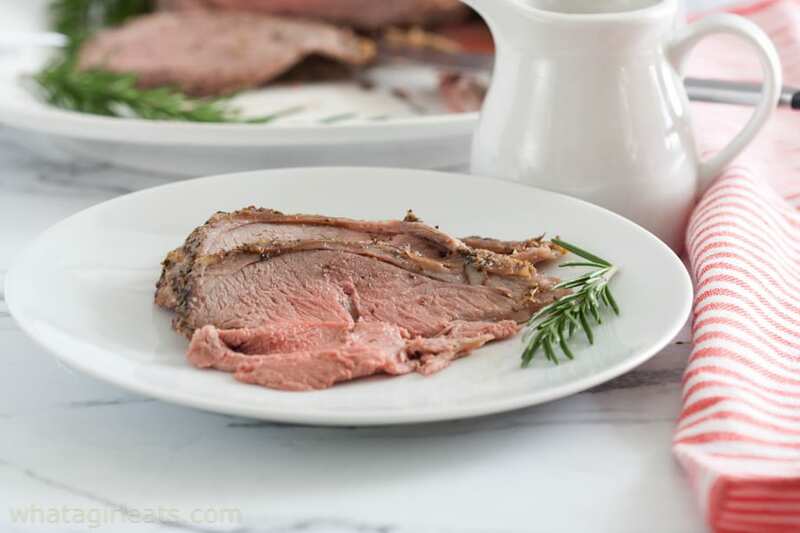 I prefer a partially or boneless leg of lamb as it cooks faster, and is easier to slice. Take that into consideration when you cook it. A boneless leg will cook much faster. I like to stud my lamb with slivers of garlic for extra flavor. 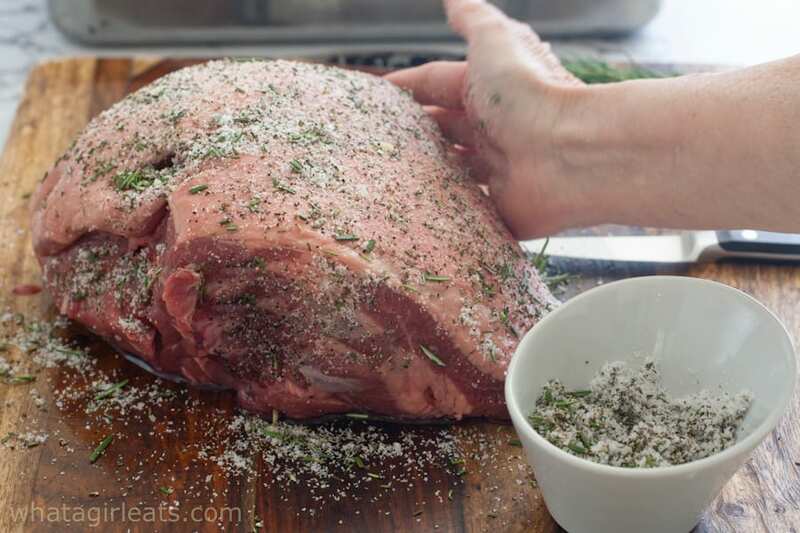 The rub I use is simply fresh chopped rosemary, kosher salt, and coarsely ground black pepper. What temperature should you cook lamb? This of course, is subjective. It used to be that lamb was only served well-done, don’t do this with Aussie lamb! Seriously, good quality lamb (or beef) should be served medium-rare, to medium at the most! Some would argue that’s too well-done. Yes, this is a personal preference, but if you’re going to spend the money on high quality meat, please don’t over-cook it! 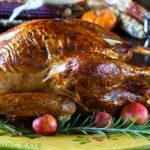 The best way to ensure the perfect temperature is to use a meat thermometer. I use this one, which you can keep in the meat while it’s in the oven. It will beep when it’s getting close to the correct temperature. 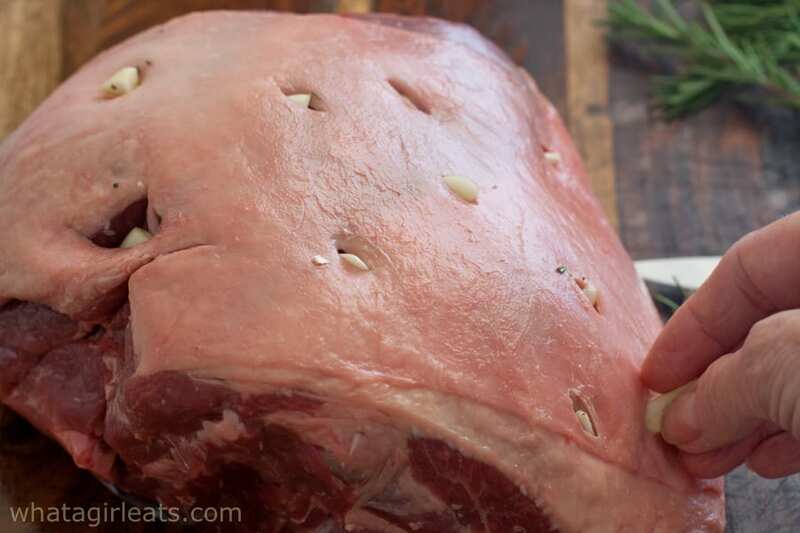 If you prefer your lamb rare, you’ll want to pull it out at 130 degrees F. Keep in mind that the meat will rise an additional 10 degrees F. For medium, it should register 145 degrees F. So adjust accordingly for medium-rare. Remember that it’s easier to cook it longer, but once it’s over-cooked, you can never go back. 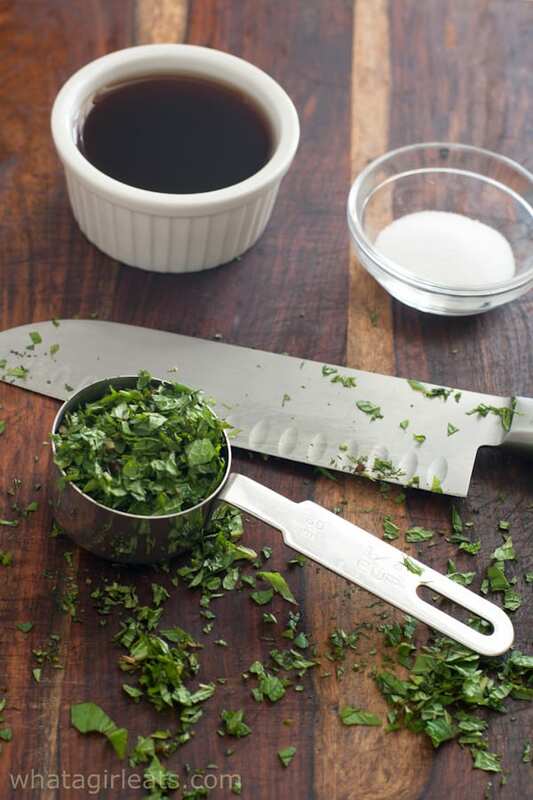 If you’ve only had lamb with mint jelly, please try this recipe for Fresh Mint Sauce. American mint jelly is loaded with artificial colors and flavors. It’s also cloyingly sweet and electric green. 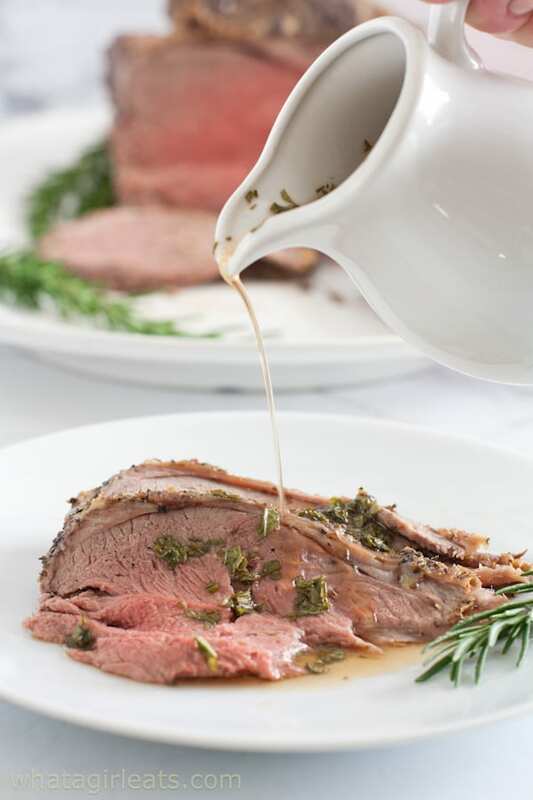 In England, lamb is traditionally served with a mint sauce, which is more akin to an au jus. It’s tangy, slightly sweet, and simply made using, mint, malt vinegar and very little sugar. The entire recipe for this mint sauce contains just one to two tablespoons of sugar, but if you are sugar sensitive, you can certainly substitute your favorite sugar alternative. 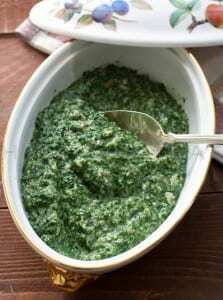 This recipe for Mint Sauce comes from the old Time/Life Series, Foods of the World, The Cooking of the British Isles. My mom collected the whole set in the ’60’s and has given me the entire hard back collection and some of the spiral bound recipe books. It’s also fun to see how “food photography” has changed over the last 40 plus years. 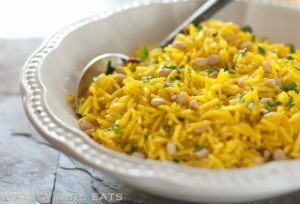 So simple, dissolve sugar and water over a low-heat until barely simmering, add a hand-full of freshly chopped mint, malt vinegar and a pinch of salt and let it sit. Adjust the flavor (sweetness) by adding a bit more sugar if necessary. Serve on the side of the lamb in place of mint jelly. 5 pound Aussie Lamb (boneless leg), this one was just over 5 pounds. Pre-heat oven to 500 degrees F. Adjust oven racks so that lamb will roast on the bottom third of your oven. For faster cooking, bring meat to room temperature. Mix salt, rosemary and pepper in a small bowl. This is important because you don't want cross-contamination. If you prefer yours rare, pull at 130*, for medium, pull at 145*. This lamb was pulled at 140 for medium rare. Classic British style mint sauce from the Foods of the World, The Cooking of the British Isles. 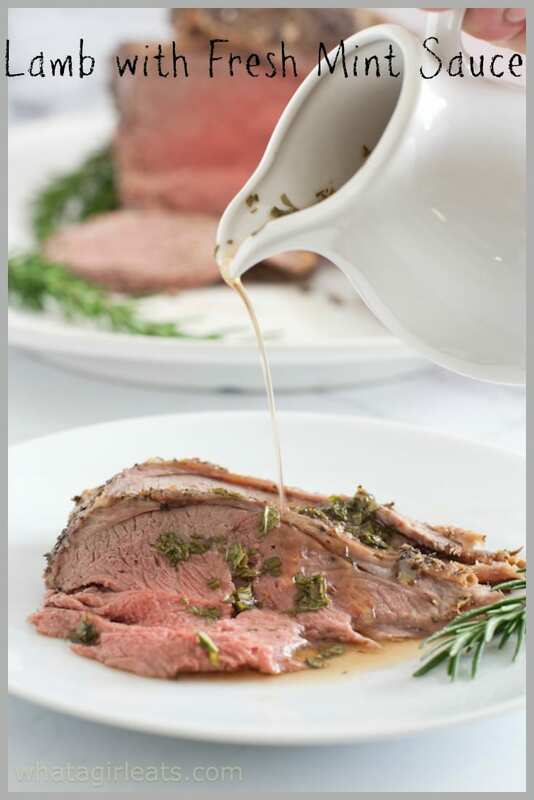 This can be made ahead of time, it will be thin and have the consistency of an au jus. Combine water and sugar in a small saucepan and bring to a boil, stirring just until the sugar dissolves completely. Remove pan from heat and stir in the mint leaves and vinegar. Taste and add more sugar if you prefer a sweeter sauce. 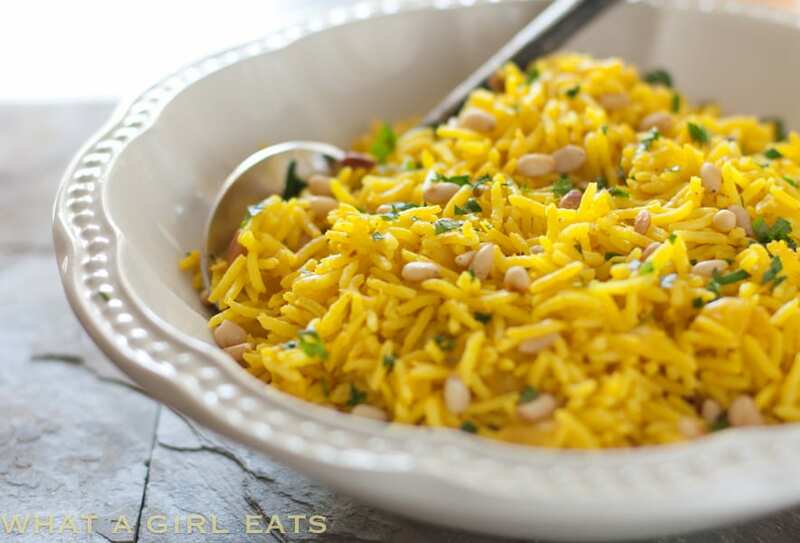 Looking for side dishes to go with your leg of lamb dinner? 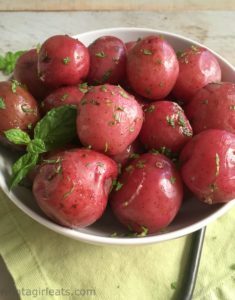 Minted New Potatoes; the perfect side dish for spring. Leg of lamb with English Mint Sauce. 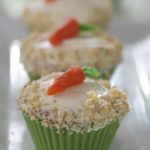 Gluten free, low-carb. 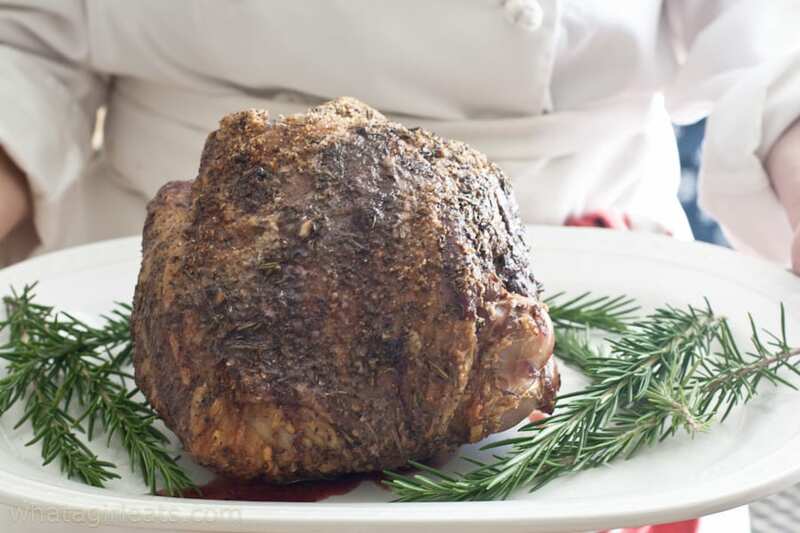 Lamb is a must-have dish on Easter day for us, I’ve never tried it with mint sauce though. Would love to give it a try :). Thanks for sharing this at my Facebook Milestone Link Party :)! If you’ve ever had mint jelly…this is nothing like it…it’s a little tangy and a little sweet! Right? I think a lot of people are afraid that they’ll over-cook it? G’day! Who doesn’t love lamb and mint sauce! YUM Nancy! I didn’t know that Australian products had such great laws over what they self for consumption. I wish the US would get on the bandwagon! 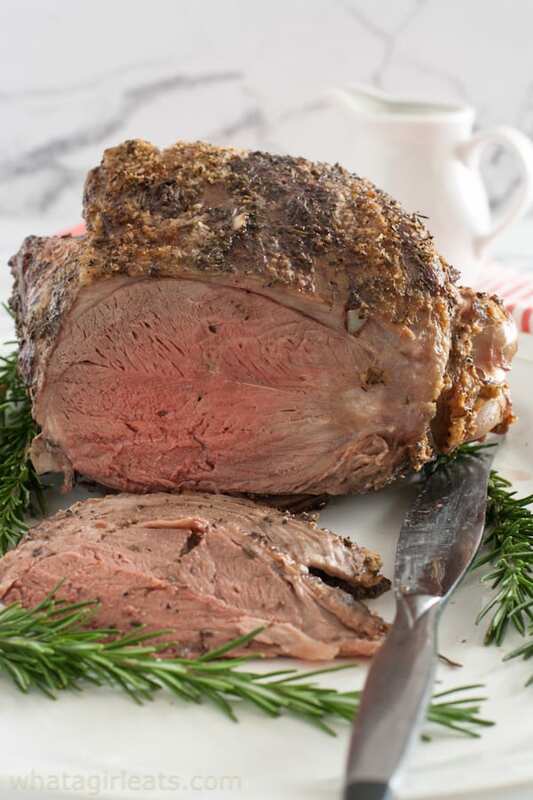 This lamb is amazing, and perfect for Easter! Yes, that was so impressive! I wish US companies had the same standards! That’s so fascinating about how great the process is for raising grass-fed in Australia. And I have to give fresh mint sauce a try. I’ve never been a fan of mint jelly, but I do love the flavor it adds! I love how respectful of the animals they are. I find mint jelly cloying sweet. This mint sauce is more tart and slightly sweet. I’ve had Australian lamb and agree. I simply won’t bother with lamb that has a lamb-y flavour, and I’ve never had it with Australian lamb. 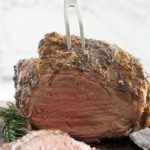 Your leg of lamb looks perfect, and the simple preparation makes it all the more appealing to me! Delicious! I was impressed with how ethically they raise their animals. 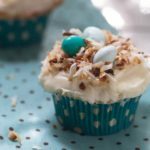 Thank you for this recipe – it will be perfect for easter! 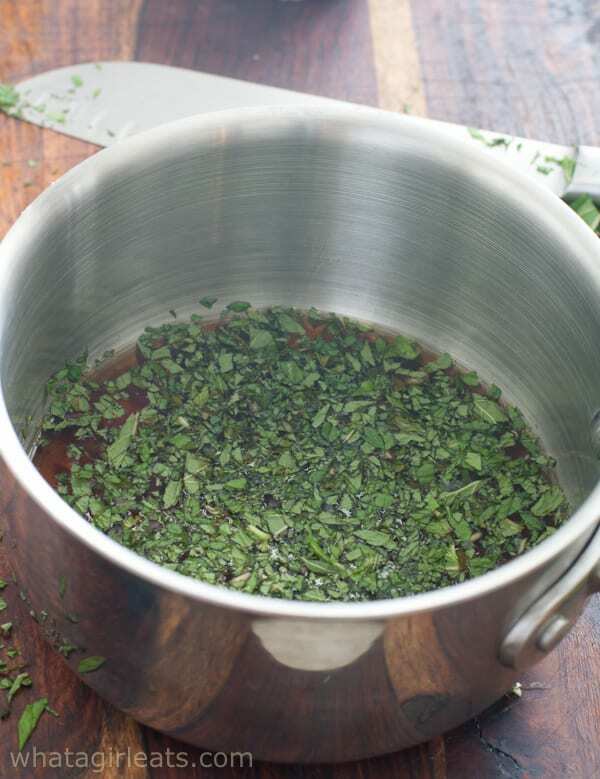 I usually don’t make mint sauce for my lamb but I have been wanting to try it – will try your version now! This mint sauce is far less cloying than American mint jelly. thank you! It’s my favorite meat! What a fabulous lamb presentation. 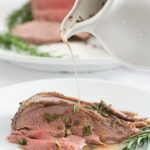 I love lamb and your fresh mint sauce is the perfect accompaniment..
A beautiful lamb recipe, and I’m intrigued by the minted sauce. I’ve never ever even tried the mint jelly that’s traditionally served with lamb. I just never “got” it. But I love what you’ve done. When in Australia I enjoyed lamb, as well as in New Zealand. What a treat. I don’t like mint jelly because it’s so sweet. 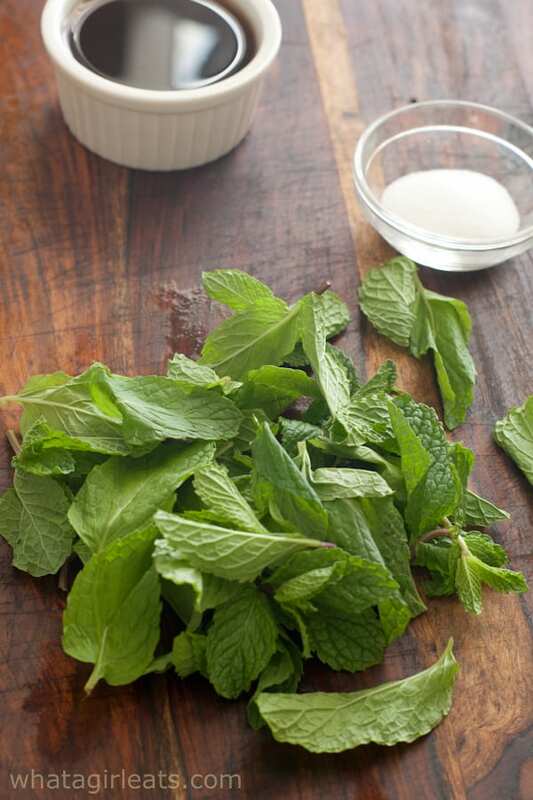 This mint sauce is slightly sweet and tart and a traditional accompaniment in England.